No show or early departure without consultation - 80 – 100% of deposit. 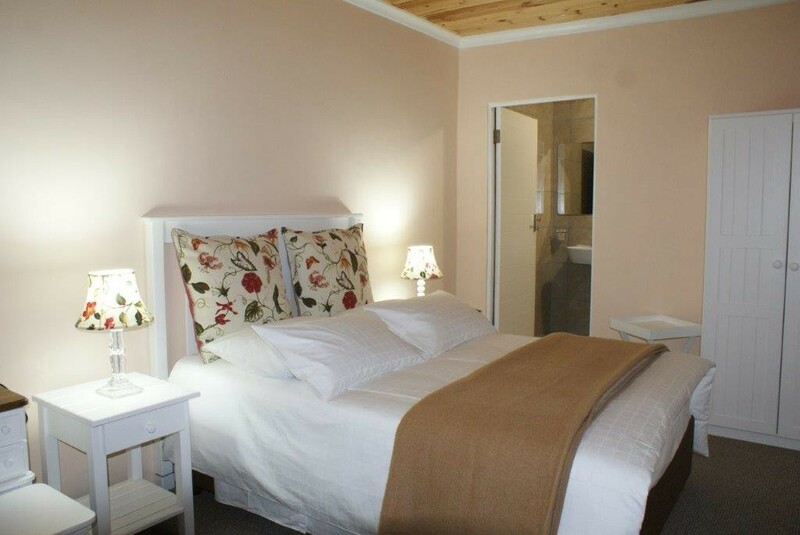 Haka Hana B&B located away from the hustle and bustle of the city in the quiet rural area of Rocklands on the Witteklip Road. 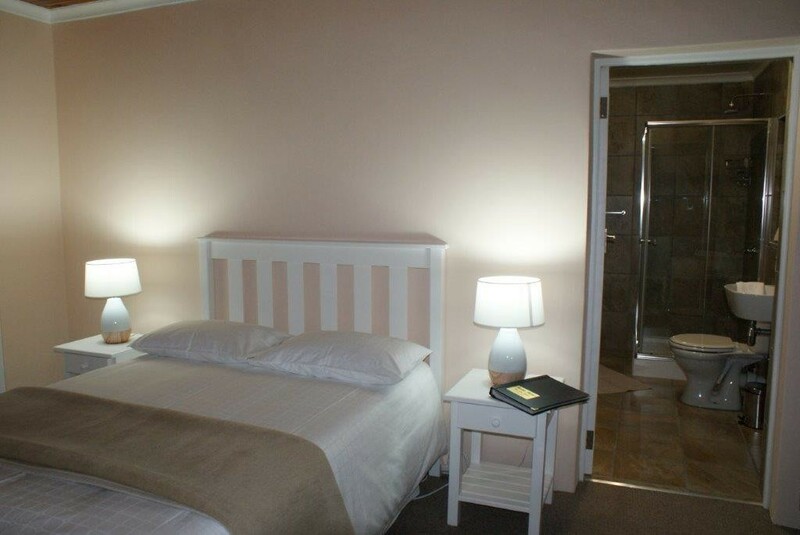 Being 18km out of Uitenhage and 12km from the N2/R334 Van Stadens Pass/Uitenhage intersection it is ideally situated for travellers heading for Aliwal North, Addo Elephant Park and Bloemfontein as well as businesses in Uitenhage, Jefferies Bay and Port Elizabeth area. 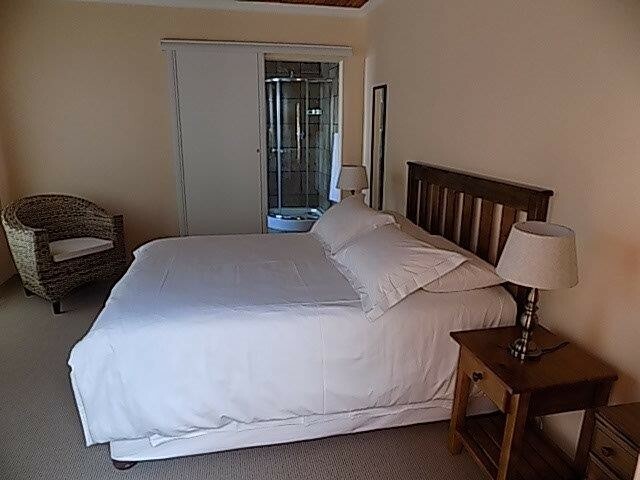 The main building has been renovated and furnished for the guests’ comfort and freedom to interact with each other with the owner/manager living in a cottage on the property offering personnel attention when needed. Guests to visit the Office at rear of building on arrival and checking out. 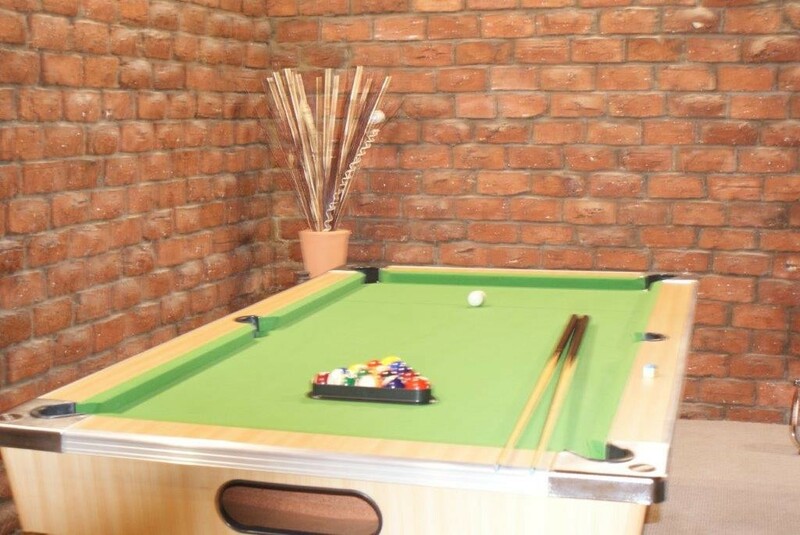 Main lounge games room: 48” LCD TV, with DSTV, DVD and surround sound, 1/3 pool table, dart board, chess table, various board games. 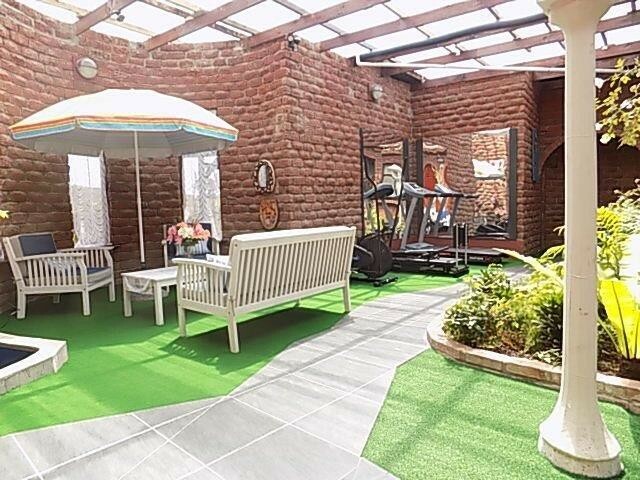 Indoor garden chill out area is equipped with treadmill, Orbi Trek cycle, dumbbell’s and Maxis exercise bench, patio table, chairs and a pond to relax and listen to the falling water. 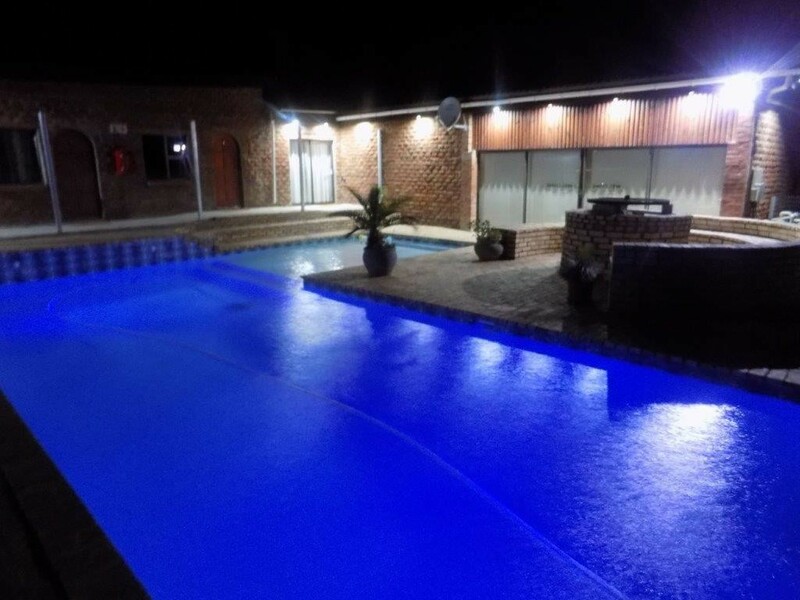 All 8 bedrooms are carpeted, equipped with double beds, wardrobe, ceiling mounted fan, vanity, hair dryer, 32” LED HD TV with DSTV connection, coffee and tea facility, easy chair and fully tiled en-suite bathrooms. 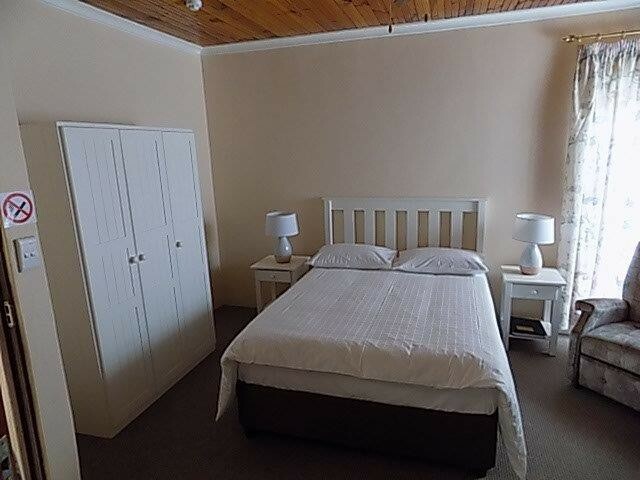 Bedroom layouts are for 2 persons sharing comfortably but some can have a cot for 0 to 4-year old or a single/bunk bed for 5 to 12 years installed. A cot can be used in rooms 1,3,4,6, 7 and a single/bunk bed in 4 and 6. 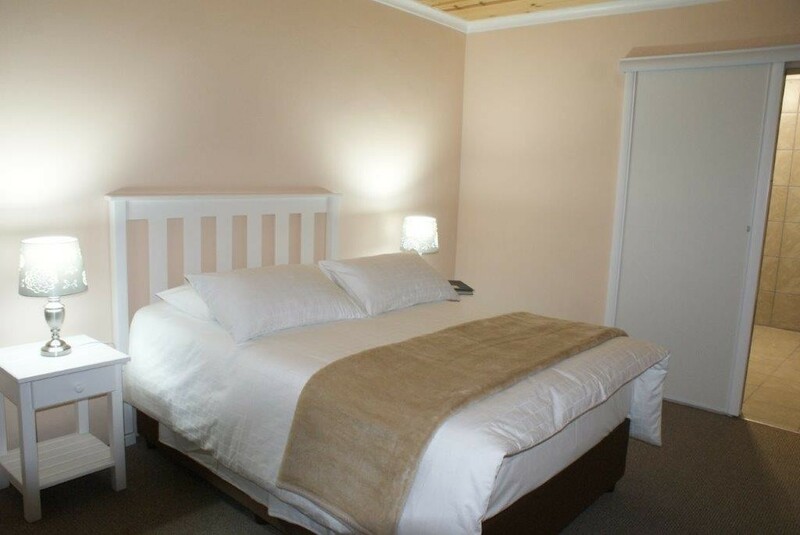 Teenagers 13 to 19 years would need to share a room at the room rate. 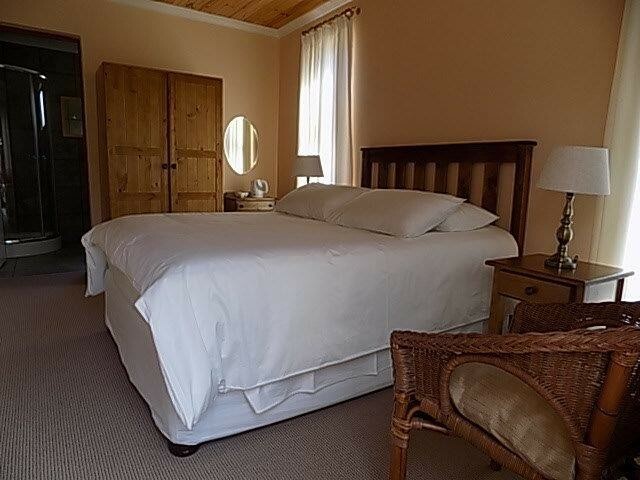 Quality Egyptian white cotton bed linen, white bath towelling is supplied as with complimentary bath soap, shower gel, shampoo, body lotion also coloured towels for pool deck use. 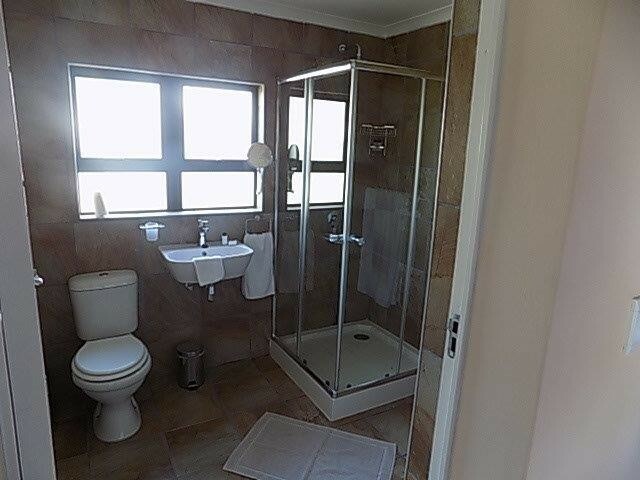 Rooms 1,2 & 3 lead off from the indoor garden with each having its own full bathroom. 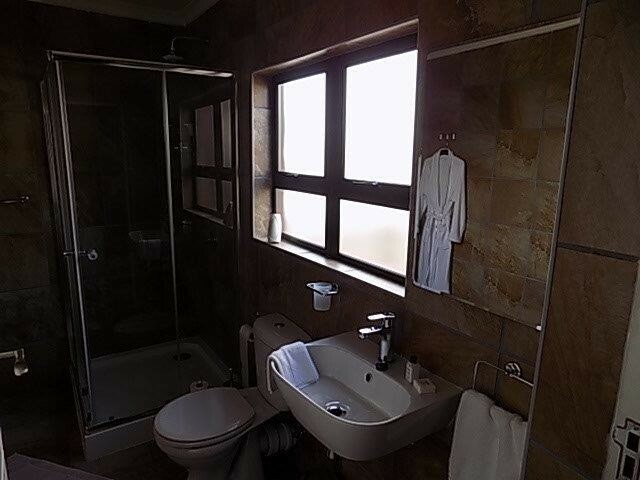 Rooms 4,5 and 6 lead off from the upper dining area are equipped with shower, wash basin and toilet. 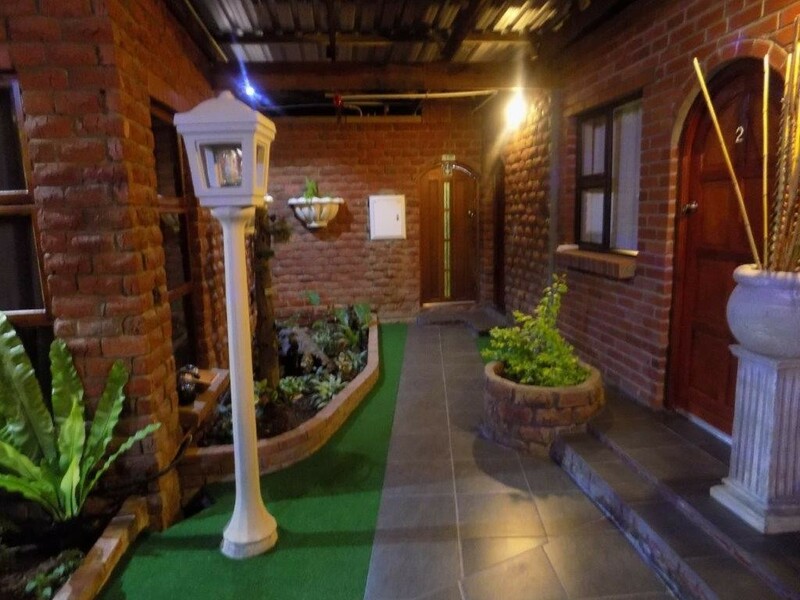 Outside concrete pathways have been constructed to enable mobility impaired persons to access bedroom 7 and 8, upper dining area sliding door, pool deck, main lounge and carport 7. 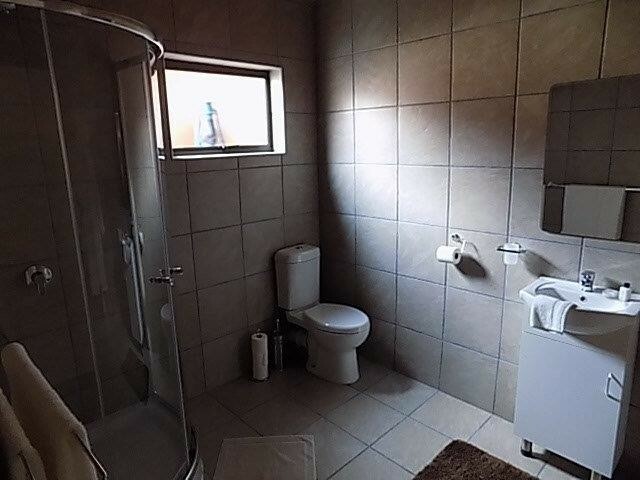 Room 7 can accommodate mobility impaired persons with a large well laid out bathroom, open shower, toilet wash basin and hand rails for ease of movability. 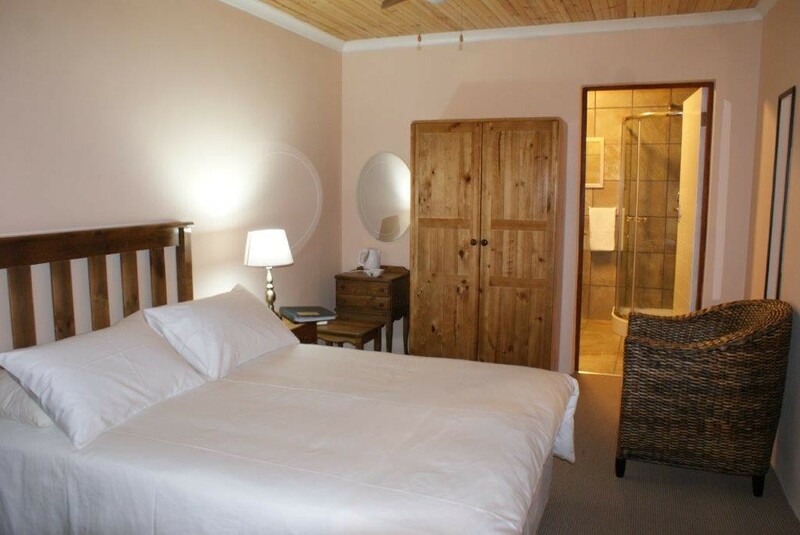 Room 8 is ideally proportional for two people sharing with its own shower, toilet and basin. 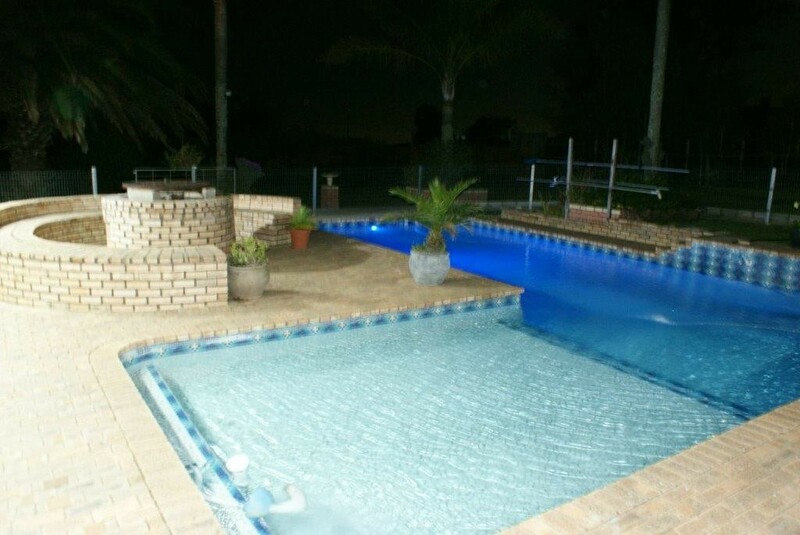 Fully fenced with child proof access gate pool deck with large swimming pool, seating areas wide enough to sunbathe on. Braai facility with wood supplied. Undercover carports for each room. Property enclosed within security fencing. GSM Based intercom and access control installed. CCTV installed inside communal areas and outside building. 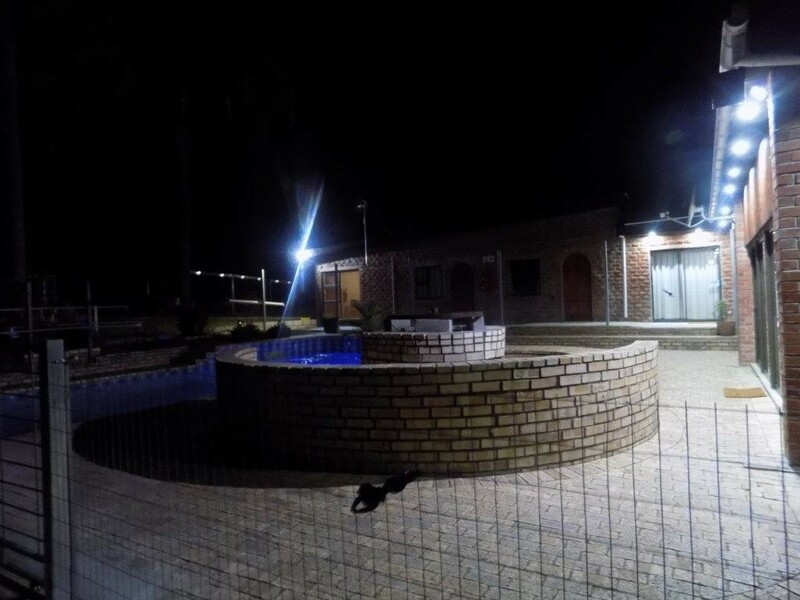 Emergency solar lighting in communal areas. Outside solar lighting for each carport. 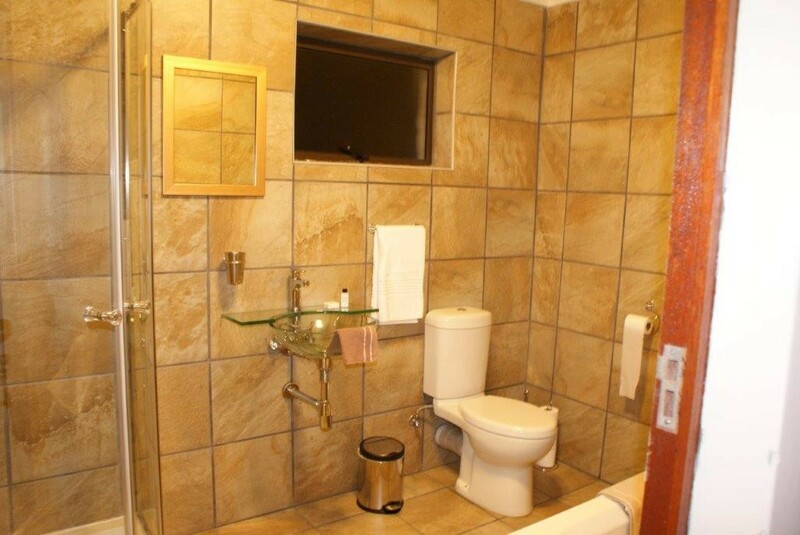 Solar water heating to all bathrooms. 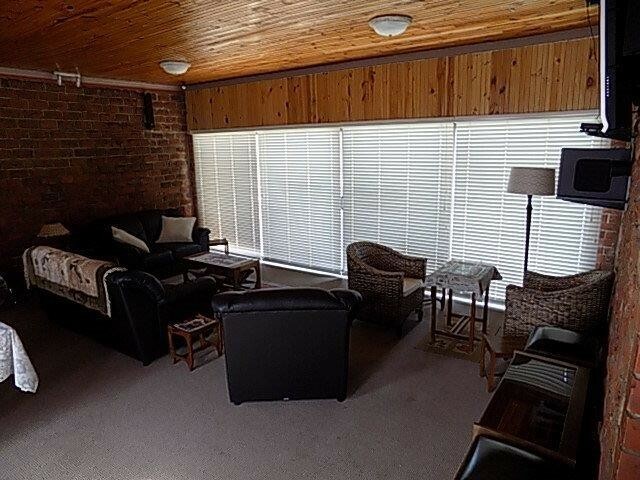 On request laundry may be either done on site or taken to Green Apple Laundry in Hunters Retreat. Pricing to be agreed upon. Stroll around the garden at peace with the bountiful plants and flowers also our own protea garden or relax on garden chairs under the palms. We welcome true bikers, cyclists to our establishment but request noise control. Guests can enjoy a hearty full English breakfast in split-level dining area. Kitchen facilities are not available to visitors. Dinner can be served on request from a fixed menu a day before. R130.00 per head. Full English or continental breakfast inclusive. No alcohol licence but an honesty fridge or purchase request for wine and malt available 15% handling fee. Honesty fridge, microwave and ice machine available for guests inside lower dining area. Fuel available at Quest garage, groceries from Uncle Freddie’s, Liquor outlets and SAP Satellite Station 1.5km from B&B. 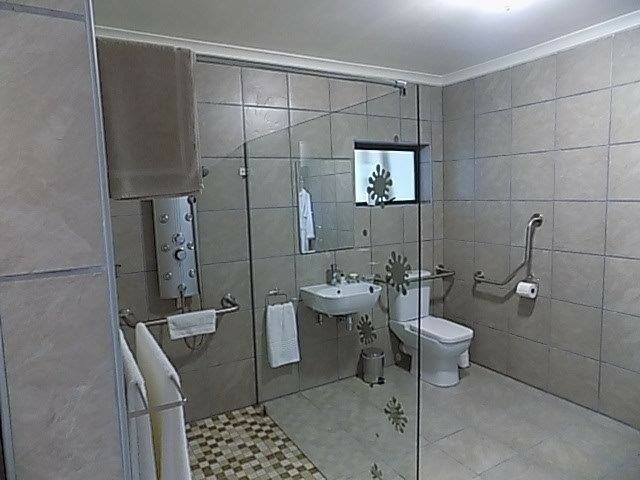 Port Elizabeth International Airport 47.5km away, payable shuttle service can be arranged. Uitenhage 18km for Life Hospital, restaurants, major shops and Volkswagen vehicle production plant. Tour of Volkswagen can be arranged. 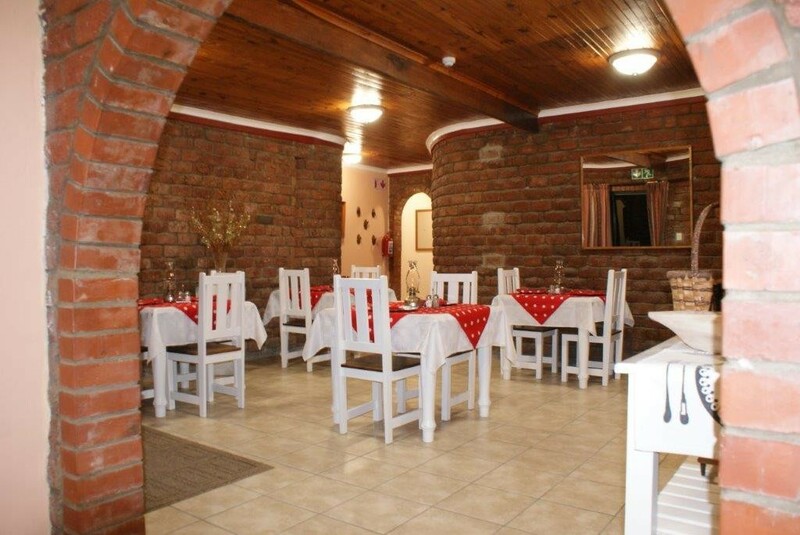 Eland River nursery 4.4kms Elands River road, Out of Africa pub 3km on Rocklands road. 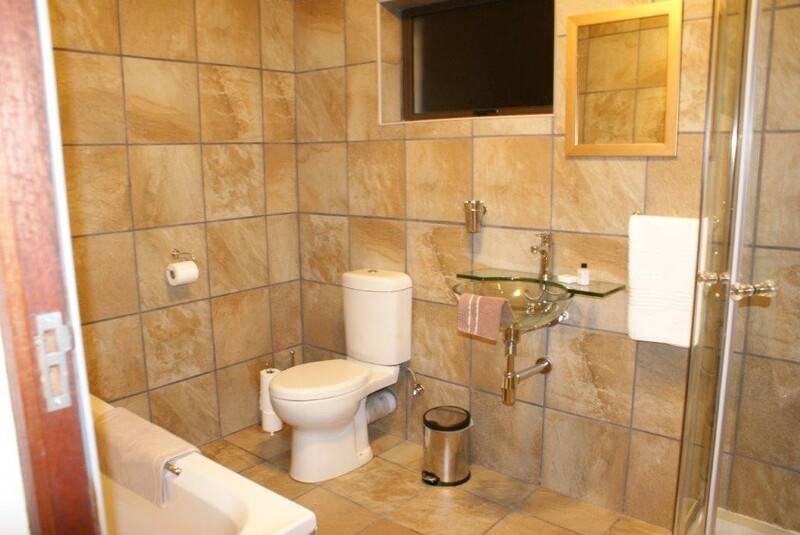 Baywest Mall 27km, Jefferies Bay 51km, Gamtoos River mouth 33km, van Stadens River mouth 24km, Kragga Kamma game park 25.5km and Addo Elephant park Colchester Gate off N2 72.5km. There is an abundant of bird life in the garden and farm area. Access to 43ha farm across the road to walk, run or mountain bike the fire paths. Organise cross country cycle along Elands river to Patensie. 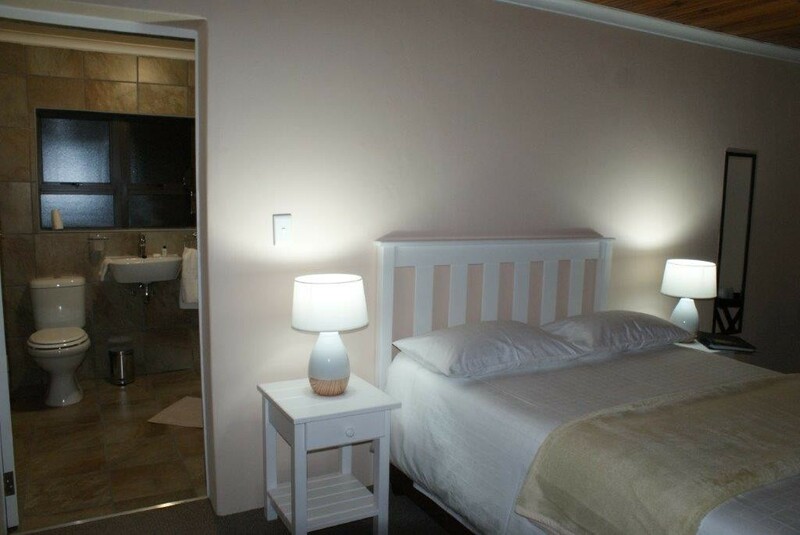 Sea fishing, swimming, snorkelling and beaches are within 30mins drive at Maitlands, van Stadens River mouth, Blue Horizon Bay and Gamtoos river mouth. 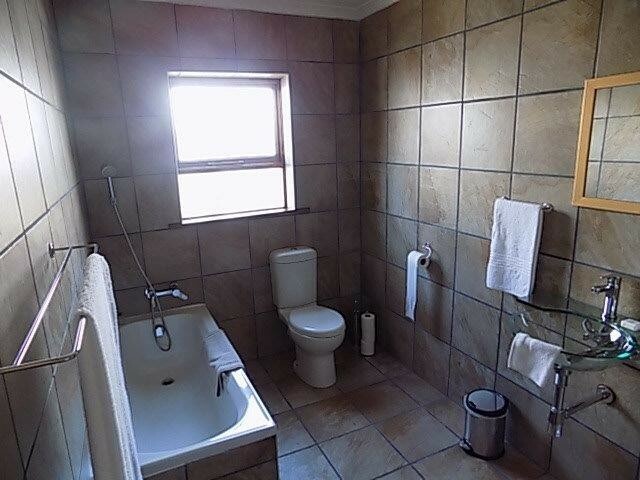 Haka Hana B&B located away from the hustle and bustle of the city in the quiet rural area of Rocklands on the Witteklip Road. 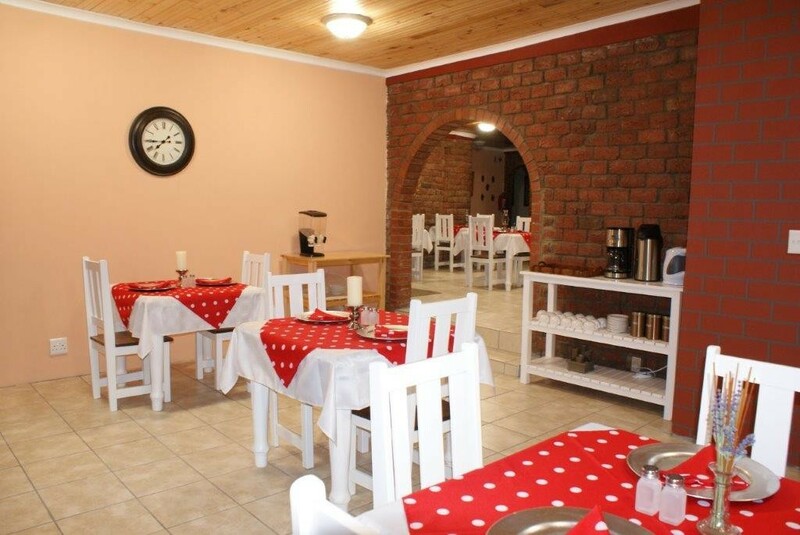 Being 18km out of Uitenhage and 12km from the N2/R334 Van Stadens Pass/Uitenhage intersection it is ideally situated for travellers heading for Aliwal North, Addo Elephant Park and Bloemfontein as well as businesses in Uitenhage, Jefferies Bay and Port Elizabeth area. A)	Port Elizabeth along N2 towards Cape Town, off at Blue Horizon off ramp, turn right at junction. Immediately after railway crossing turn left and left at T junction into R102 (Old Cape Road). 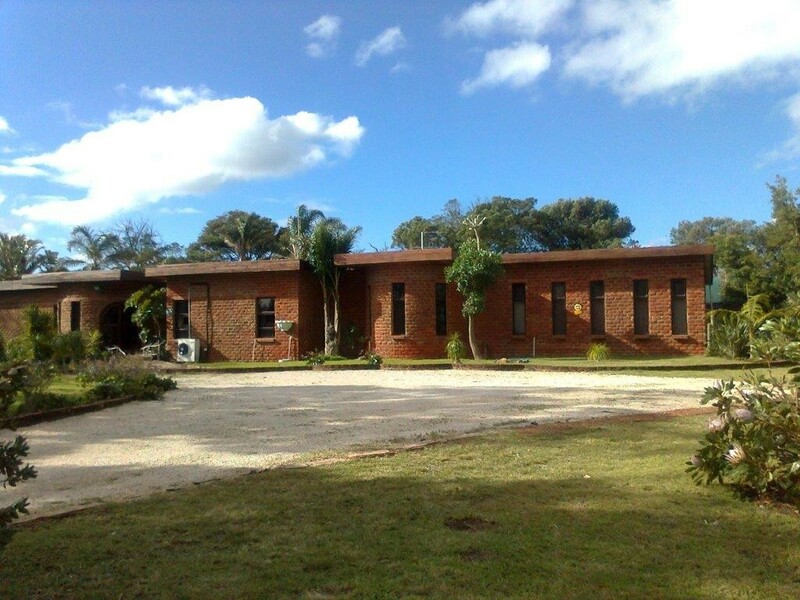 Turn right into Rocklands Road (NG Church on corner), +-500m after St Albans Correctional facility. At junction Witteklip road turn left (Quest filling station opposite) +-1km on left side of road sign board Haka Hana B&B. B)	Humansdorp take van Stadens, Uitenhage off ramp and left at junction into R334 towards Uitenhage. +- 15km right side of R334 see Haka Hana B&B sign. C)	From Uitenhage R334 to Rocklands Police Station and Quest filling station +- 1km further on left. As per A.